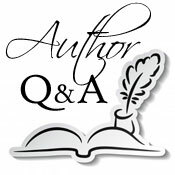 We are delighted to welcome author Maynard Sims to Omnimystery News today. Actually, that should be "authors" as Maynard Sims is the name used by writing duo Len Maynard and Mick Sims. Their most recent mystery thriller is Let Death Begin (Enigmatic Press; February 2014 trade paperback and ebook formats) and we recently had the opportunity to talk to the authors about their work. Omnimystery News: You write both stand-alones and series books. Tell us a little about both. Maynard Sims: We currently have two series ongoing. The Department 18 series of supernatural thrillers began with Black Cathedral in 2009, and the fifth, Mother of Demons is due out next year. The second series of adventure thrillers is set in the Bahamas and features Harry Beck. Book one was published as Dark of the Sun in 2012 (although we intend to revise and re-publish under the original title of Touching The Sun) and the third is being written now. Alongside those we have several standalone novels, including Let Death Begin, and stories outside the thriller genre. Ideas thrust themselves into the mind on a regular basis. The trick then is to remember them and capture them down on paper, even if just rough notes. From there the gestation period may be hours, days or much longer. During the thought processes about how to change the idea into a plot and add in characters and settings, the decision is made about whether this would settle into the series or needs a standalone treatment. Both series actually began as standalones, without a series being planned, but when completed the characters had more to say. They needed a series and as the second book was written so the series burst into life. OMN: Give us a summary of your latest book, Let Death Begin, in a tweet. MS: An ordinary man is thrust into an extraordinary situation and needs to beat the ticking clock to stay alive. OMN: How much of your own personal or professional experiences have you included in your books? MS: Many of our short stories are very autobiographical, even our ghosts stories. The things that the character experiences, their emotions and actions, are taken from real life events that happened to us and real life feelings we have had. With the novels the same applies to a large extent. The characters act in ways that we would act, or, perhaps more regularly, in ways that we would like to think we would act. In an action thriller where an ordinary man has to become a hero, would we be able to do the things they do? Would like to think so. The settings in Let Death Begin are all real places that we know. The relationship between James and Sara is based on our experience, the relationship between James and Joe mirrors a boss/employee relationship we had. OMN: You've written together for over 40 years. What is your writing process like? MS: As we are a writing duo it's become more fluid as the years have passed. Initially we would finish each others stories and argue about which version was better. We'd spend hours discussing a single word if we felt passionately enough about it. Often one would run out of steam with an idea and simply pass it over to the other who would finish it. Sometimes a story would be finished and the other would revise it — examples would include a 7500 word story that became 13000 and a 14000 that ended as 7500. With the novels, each has been different. We find it is important that a book has a single voice — an author point of view, a narrative drive the reader can connect with. Luckily our styles have developed over the years into a single M&S style so there is never a case of anyone being bale to see the joins. Shelter was written by one of us and the other completely revised it, moving chapters around and deleting characters and fleshing out others. Demon Eyes was written by one of us and the other merely touched it up with minor revisions. Black Cathedral was started by one of us, carried on by the other and then passed back to the original author who finished it, adding chapters inserted to the earlier parts. With each book we spend days at the end reading it together, page by page, for grammar, continuity, repetition and other flaws we find. We used to brainstorm, sometimes for weeks on end. I remember one novel we planned early on in our careers was discussed at length and completely story-boarded - a process that went on for weeks if not months. In fact it took so long to plan we both ran out of steam on it and it was shelved. We refined the process after that. We tend always to begin with an idea, a strong opening sequence and take it from there. Characters are often added in as the plot demands and either get expanded or become secondary. OMN: You mentioned the settings of Let Death Begin. How important are they to the story? MS: Let Death Begin is set in real places. London, Hertfordshire, Spain, Dorset. The flats, houses, warehouses, villas, police stations, farms, pubs, are all based on real places where we've been. Liberties are taken in that we describe the actual location, directions, fabric of the building, but then add atmosphere that may not exist, a side entrance that we may need for the plot rather than may actually be there. Settings are very important to us. Atmosphere is vital to our story telling. There needs to be a sense of a place so that the characters act in a way that is dictated, in part, by their surroundings. MS: Well, definitely the Bahamas to research first hand the Harry Beck series. We have written it based on research from Internet and friends who have been there. There are wonderful documentaries that have helped and we have had meetings with Bahamas based organisations. But definitely a trip to see the real Louis' Oyster Bar would be great. MS: Len is a musician. He plays bass and acoustic. He was in a band in his younger days and still plats with friends now. Music features quite a bit in our stories although I don't think we've had a musician as a character yet. In his day job (now retired early) he was a lapidary and precious stones and diamonds do feature on a regular basis. Gardening is a passion and we hope we get all our plant references correct. Mick was in banking as a day job (now early retired) and an upcoming thriller, Through the Sad Heart features money-laundering. Gardening is a passion and as above we like to have accurate descriptions of gardens, plants and associated features in our stories. We both have lots of life experience, good and bad, and those do get used heavily on our work. Marriage and divorce, the ups and downs of relationships. Death of loved ones, loneliness, children, grandchildren, friendships and arguments, all life has thrown at us gets used as character traits or plot events. OMN: What advice might you offer aspiring writers? MS: Get an agent. Get bigger contracts. Make more money. Increase sales. That's probably the financial aspect. Write all the time, every day. set a target, like 1000 words average per day and stick to it. Don't believe the good reviews and don't fret over the bad ones. It's all subjective. The successful authors aren't better than you, good as they are, many are just luckier than you. Wish we'd been this prolific and inspired when we were younger. Working at day jobs and writing part time, and around family life, is hard. Combine that with a lack of self confidence in our writing ability, occasional periods of laziness, and there were too many years when output was too low. We had interest very early on from a major publisher in a mainstream collection but we let it drift away. We've had movie option deals that didn't get taken up for different reasons. Perhaps we should have started diversifying from horror earlier so that we had careers in different genres. But, what we have done and what we have experienced makes us the people we are today. We are both happy with our lot in life, serene and at peace, so the regrets are just little professional ones. We think we've done well, and we're proud of our achievements. Finally we have some confidence in our writing ability — up to a point. OMN: Tell us how you came to write under the pen name of Maynard Sims. MS: We were LH Maynard & MPN Sims at first but shortened that to Maynard Sims when we signed with Samhain. As we have grown older we have recognised we each contribute something different to the team, and we always have our own projects on the go, even if they may end up as Maynard Sims stories. Len Maynard wrote a Pan Horror type story and Mick Sims responded with an atmospheric piece. This continued until we realised that while we were okay individually, there was a better talent together. We got a couple of reviews early on along the lines of "did it take two people to write this rubbish?" and at least one other that claimed they could see the joins of where one writer started and the other came in — nonsense but our thin skins reacted. We came up with the very imaginative pen name which now works as our "brand". Downsides include that it sounds a bit pretentious. OMN: How did Let Death Begin come to be titled? And how involved were you with the cover design? MS: Let Death Begin started as The Killing Room but that title had been used by the time the book was completed. We like to be original so we looked inside the book for inspiration. The title comes from the events in the story and so it was a natural and effective title to have. The cover photograph is by an old friend, Bev Manders, who is actually the reason Len and Mick are friends. Mick went out with Bev at about 17/18. We all used to hang out in a big and fluid group of "hippies". Bev later went out with Len. Angered by the perceived way Mick had treated Bev Len took him to task. A long walk into the early hours resolved the conflict and set up a friendship that now stretches to 50 years. Bev's photographs are being used on quite a few upcoming books. The design for the Let Death Begin cover was by a company called Kinetics Marketing in Bishops Stortford, although the back cover and later book covers are by MAD Maynard Art & Design which is Len's son Iain who worked with us on the covers and interior art of our Enigmatic Tales titles and many Darkness Rising books. MS: Feedback is so rare that we love it. We would love it anyway as communicating with readers is surely what every writer wants to do. When someone contacts us through email, face to face, or social media we always give a full and honest reply. We have even replied to comments on Amazon and Goodreads. We never take anyone to task if they hate the book — how rude would that be? Always thank the reader or reviewer. We regularly offer to send a free paperback to people who get in touch. OMN: Have any specific authors or books influenced how and what you write today? MS: Mick would say Ed McBain's 87th Precinct novels. I used to read a lot of Wilbur Smith, Morris West, and Greene. Short stories by H R Wakefield, and the so-called M R James followers such as Munby, Caldecott and Roit. Crime thrillers I read include Peter Robinson, Mark Billingham, Lee Child, and Robert Goddard. I have enjoyed some James Patterson. Len used to read a lot of post-apocalyptic stuff; Wyndham, John Christo¬pher, and I love The Furies by Keith Roberts. These days I read very little fiction, as it tends to detract from my writing. But the writers I admire are Graham Masterton, who nearly always delivers and has great range, and Jack Higgins whose tempo and feel for a story really can't be bettered, but I mainly read a lot of non-fiction. MS: We have three supernatural thrillers scheduled with Samhain — A Plague of Echoes, Mother of Demons — both Department 18 — and a ghost story, Stillwater. Enigmatic Press are following Let Death Begin with two more crime thrillers, Through the Sad Heart and Falling Apart at the Edges. We get the rights back early 2015 to the first Bahamas novel, which we are already revising. We will bring out all three books as a linked trilogy. We get invited to do occasional editing jobs and have one on the go at present. The same with short stories where we regularly get our back catalogue published in magazines. A mainstream screenplay awaits a decision on funding and if that gets agreed the director will want input when production starts. We have nearly completed a Romance novel, under a pseudonym, and if that is successful more will follow. We are both working on separate ghost writing projects. And it won't be a surprise to other writers to find how much time is taken on promo work. On a personal note Len does freelance work for a gemstone company, technical data and web work. He loves spending time with his granddaughter, working in the garden and having marathon box set sessions. Mick loves seeing his granddaughter, working in the garden and helping his daughter in her studies and career. 2014 marks the 40th anniversary of the first professional sale from Len Maynard & Mick Sims who write together as Maynard Sims. Both born in London, and friends for 50 years, they began with short stories and have nine collections, five novellas and numerous magazine and anthology credits. They ran a small press where they edited several acclaimed titles under the Enigmatic brand, before being asked to edit several Darkness Rising anthologies. 2006 saw their first novel published and since then they have had ten novels published with a further six scheduled. These include the Department 18 series, and the Bahamas series. They have won awards for screenplays, have written children's stories, romances and mainstream stories. They write full time, having held day jobs for the entire time they have been writing together. Each currently lives in Hertfordshire, with two children between them and two grandchildren, one each. They do like symmetry. For more information about the authors, please visit their website at Maynard-Sims.com or find them on Facebook and Twitter. James is shot by a clown. Sara's house is broken into. Mason is killed for what was stolen. What is so important about a few letters? Why is Sara's brother behaving so secretly? When James becomes embroiled in the police murder investigation it is time for him to step away from his ordinary life and act in extraordinary ways. Only by beating the criminals at their own game, and by staying one step ahead of the police, can James hope to get to the bottom of the mystery — and to stay alive.